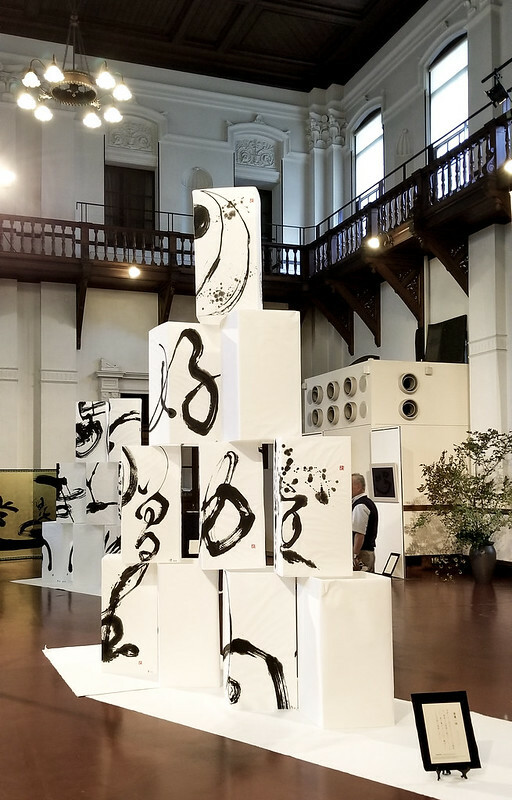 Niimi Chifumi’s Calligraphy Exhibition, “Zen x Creation x Me” will be displayed at The Museum of Kyoto on the 6th and 7th of October, 2018. This exhibition includes 2 and 3-dimensional works exploring related Zen themes such as “hyouriittai”　(different views of the same phenomenon), “Aum” (reality, start and end), “Mujō” (transience) and “Chisoku” (sufficiency). When I decided on this profound theme, everything about seemed like a “challenge”. The Zen world-view is not just for Japanese people. All around the world, Zen is well-known. As I experienced a wonderful real experience of Zen, my thinking changed. Instead of “challenge” I saw “opportunity”. May I humbly ask you to consider my work. Please come and look. I was born and raised in Kyōto. My mother is a skilled calligrapher and I grew up in the world of calligraphy under her guidance. I am the Director of the Calligraphy Kyoto shodō studio. After graduating from Heijo Gakuin Junior College, I studied abroad, researching shodō in Shanghai / Fudan University in 1989 and Beijng University in 1990. After working for Japan Airlines Co., Ltd., I taught Chinese language conversation, and I was responsible for the NHK Culture Centre’s tea programme in Chinese, and eventually became a calligraphy instructor. I am a handwriting diagnostician and I belong to the of Japanese Association of Handwriting Diagnosticians. I also explore design calligraphy and live performance of calligraphy in search of new styles.